Yet another detailed look at the debut release of the Nike LeBron 8. Set to release tomorrow at all Nike Basketball retailers. Tomorrow marks a new beginning for LeBron James, with his first season with the Miami Heat set to kick off against the defending Eastern Conference champion Boston Celtics. 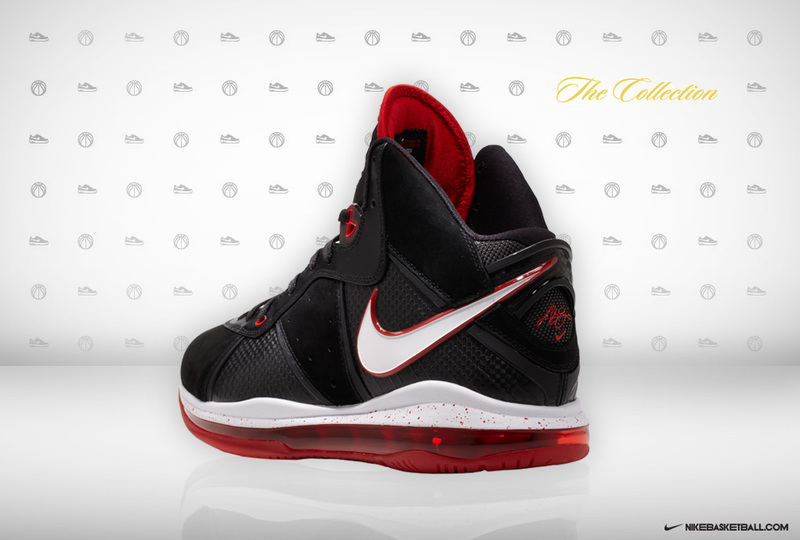 Not only does it mark the beginning of LeBron's first season with his new team,but also the debut release of the Nike LeBron 8. 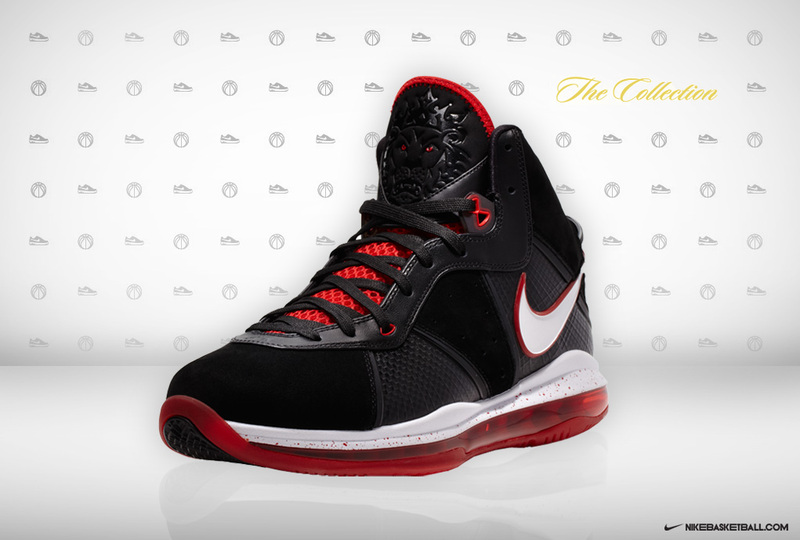 Set to release tomorrow, is the black, white and sport red make up of the LeBron 8. A clean black nubuck works most of the shoe, taking place on the toe, side panels and along the ankle area as well. Sport red and white create the Miami Heat look, coming together on the Swoosh and midsole. Sport red continues its job along the outsole, tongue lining and other areas throughout. The black, white and sport red edition of the Nike LeBron 8 is expected to release tomorrow October 26th, at all Nike Basketball retailers.